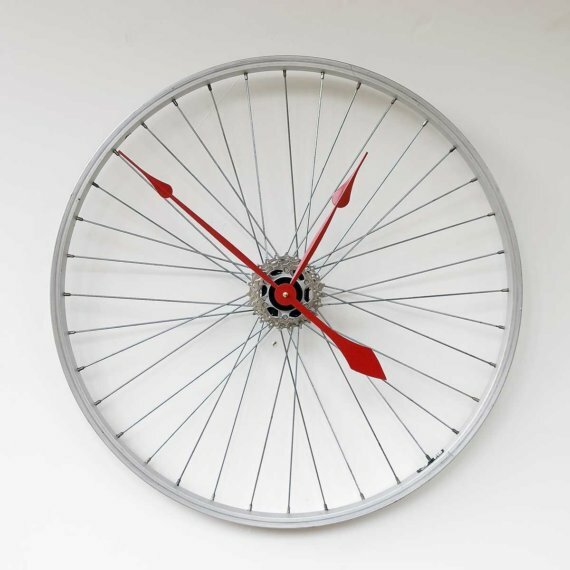 'Creative Clocks and Modern Clock Designs' from all over the world. 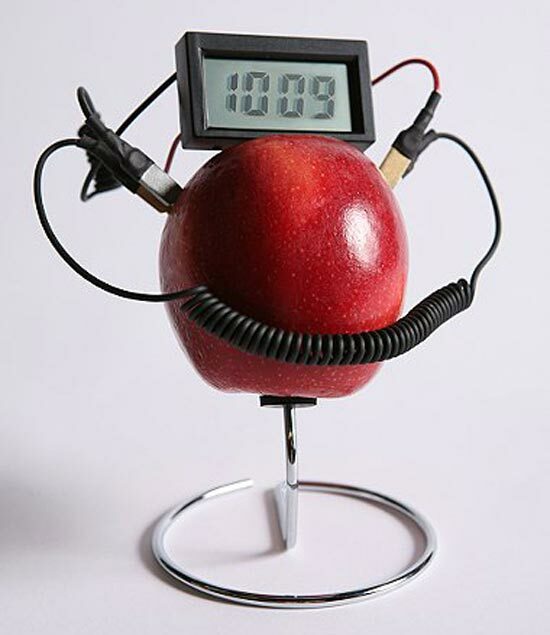 Fruit Powered Clock: The fruit/vegetables powered clock combines microelectronic technology with a fresh fruit or vegetable. 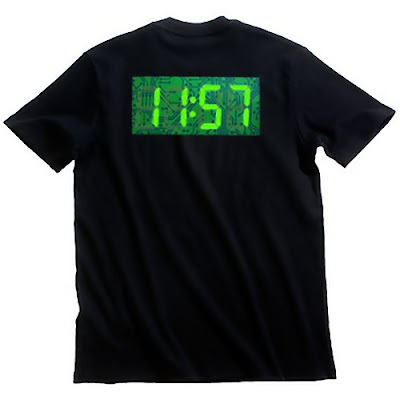 Digital Clock T-Shirt: The digital clock t-shirt displays the time using a electroluminescent panel in front. 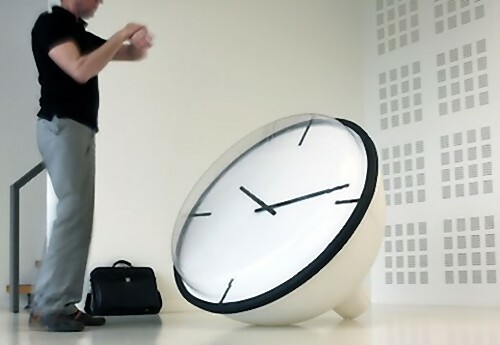 About Time: Designed by Sander Mulder, this innovative clock tells time in one long continuous sentence displays the time by moving around your desk. 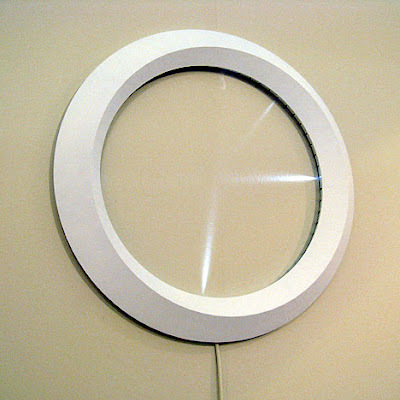 Oclock: Designed by A Duffeleer, its an oversized clock (4 feet in diameter), comes with a retro-projector light. Good Afternoon Clock: This unusual clock shows time using light, comes from Japan. 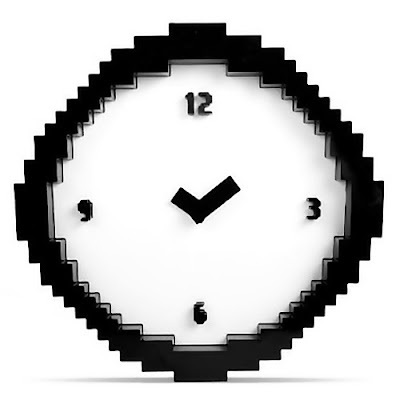 Black and White Clock: Designed by Vadim Kibardin, it features figures that are self-contained power supply and comes with independent control, and can be fixed to any surface autonomously. Bike Wheel Clock: A cool clock made from old used aluminum bike wheel. 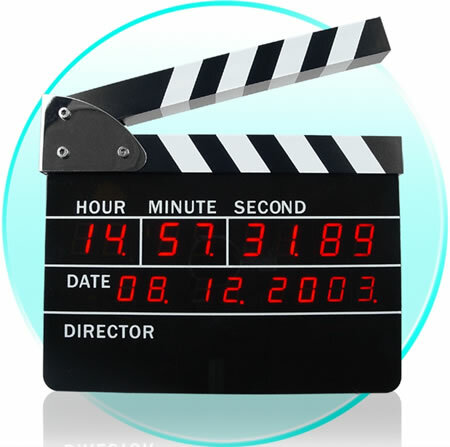 Directors Edition Digital Clock: A cool clock that resembles a clapperboard. Time is Money Clock: This cool clock puts unusable bills to good use; it's made from 50 bills of Japanese Yen. 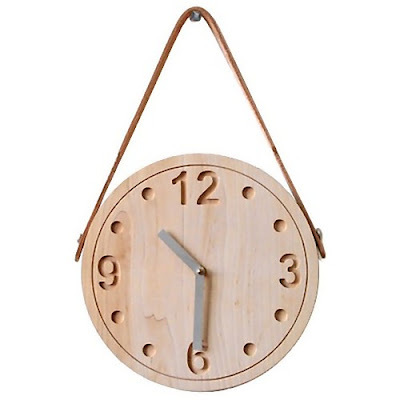 Wood Wall Clock: It's made from milled solid maple, comes with leather strap and aluminum hands. 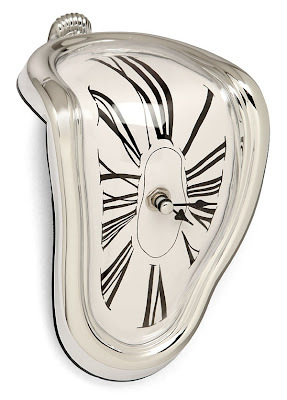 Dali's Clock: An unusual clock creation by Salvador Dali. Pixel Clock: It's an analogue clock that comes in a digitized and pixelated design. 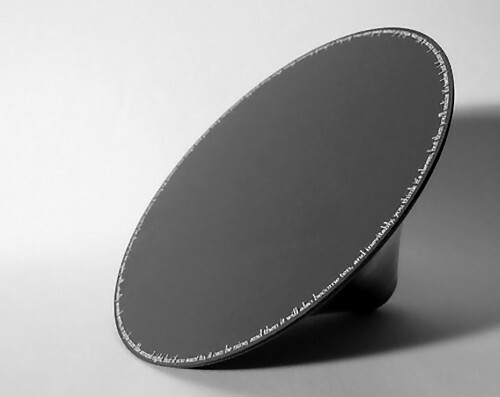 Brushed Aluminum Clock: It has a simple design and comes with beveled edges and buttons hidden on the back. My Time Mirror: It is a clock and a mirror in one. 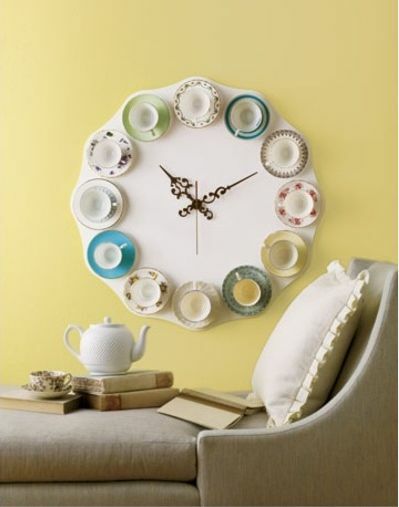 Teacup Clock: You too can make this awesome clock using teacups. 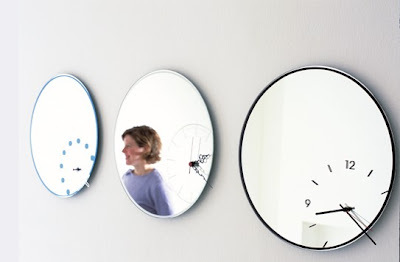 Don't miss to check out "Creative Clocks and Modern Clock Designs - Part: 1| 2| 3." 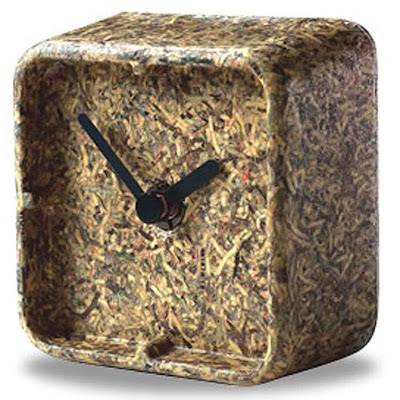 40 Creative Soaps and Unusual Soap Designs - Part 2.